The cause of the LGS is known in some cases and unknown in others. Many individuals with MECP2 duplication have been diagnosed with Lennox-Gastaut based on clinical features. 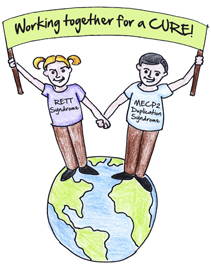 Many experts agree that the seizure disorder in MECP2 Duplication Syndrome can best be described as LGS. Others, however, have suggested that MECP2 Duplication Syndrome differs because the EEG pattern is somewhat unique and seizures can start at any age. Nevertheless, in studying individuals with Lennox-Gastaut without a previous causal diagnosis, copy number variations, including MECP2 duplication were identified and have been recognized as one cause of Lennox-Gastaut. 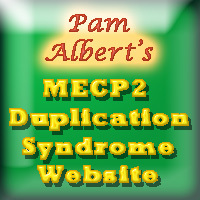 MECP2 Duplication Syndrome, Cannabidiol, and Seizures. About 90% of individuals with MECP2 Duplication Syndrome will have a seizure disorder by the time they are adolescents and most have multiple seizure types including atonic and myoclonic drops. Many have already been diagnosed with Lennox-Gastaut before or after being diagnosed with MECP2 Duplication Syndrome. Many are already being treated with cannabidiol, and most families using this treatment have found significant improvements in seizures, although not complete seizure control. With the FDA approval of Epidiolex (cannabidiol) for Dravet and Lennox Gastaut syndrome. This option will likely become available to more families. However, some physicians may be reluctant to prescribe it unless the patient has a diagnosis of Lennox- Gastaut (or Dravet), and some healthcare funding sources may only cover the cost if the patient does not have this specific diagnosis. 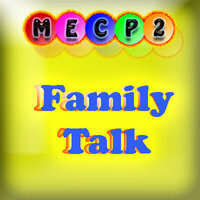 As a result, the former academic discussion of whether MECP2 Duplication Syndrome seizure disorders should be categorized as Lennox-Gastaut or not may have real practical implications for individuals with MECP2 Duplication and their families. Bijlsma, E. K., Collins, A., Papa, F. T., Tejada, M. I., Wheeler, P., Peeters, E. A., et al. (2012). Xq28 duplications including MECP2 in five females: Expanding the phenotype to severe mental retardation. European Journal of Medical Genetics, 55(6-7), 404-413. Caumes, R., Boespflug-Tanguy, O., Villeneuve, N., Lambert, L., Delanoe, C., Leheup, B., et al. (2014). Late onset epileptic spasms is frequent in MECP2 gene duplication: electroclinical features and long-term follow-up of 8 epilepsy patients. European Journal of Paediatric Neurology, 18(4), 475-481. Lund, C., Brodtkorb, E., Rosby, O., Rodningen, O. K., & Selmer, K. K. (2013). Copy number variants in adult patients with Lennox-Gastaut syndrome features. Epilepsy Research, 105(1-2), 110-117. Shandal, V., Veenstra, A. L., Behen, M., Sundaram, S., & Chugani, H. (2012). Long-term outcome in children with intractable epilepsy showing bilateral diffuse cortical glucose hypometabolism pattern on positron emission tomography. Journal of Child Neurology, 27(1), 39-45. Vignoli, A., Borgatti, R., Peron, A., Zucca, C., Ballarati, L., Bonaglia, C., et al. (2012). Electroclinical pattern in MECP2 duplication syndrome: eight new reported cases and review of literature. Epilepsia, 53(7), 1146-1155. This entry was posted in News, Seizures, Treatments, Uncategorized and tagged cannabidiol, FDA, Lennox-Gastaut, news, Seizures. Bookmark the permalink.